I got this spice rack from my mom. I wanted one for my scrapbook room for embellishments but I wasn’t exactly sure how I would use it. This was the perfect idea! 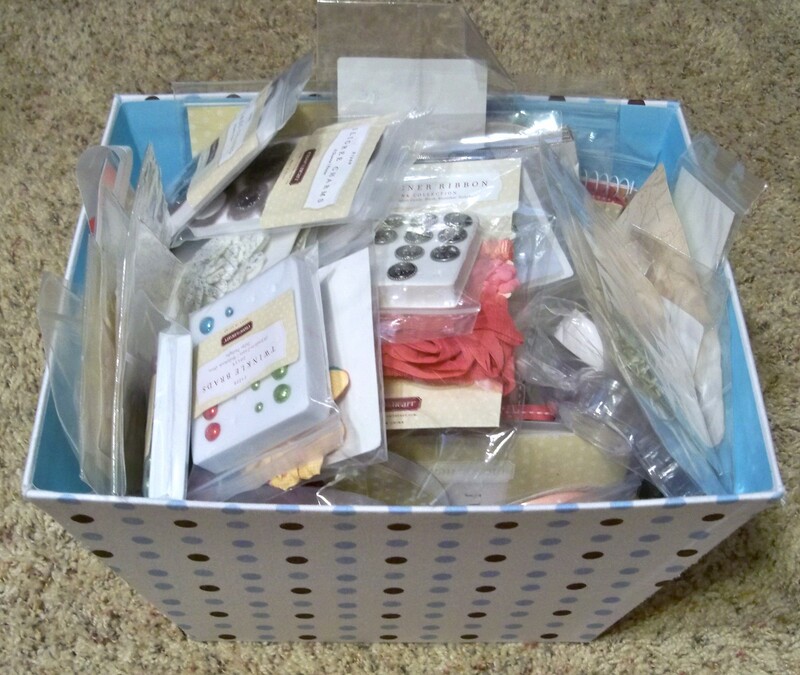 I have eliminated all the excess packaging and it will be much easier to find what I need to add flair to my projects. 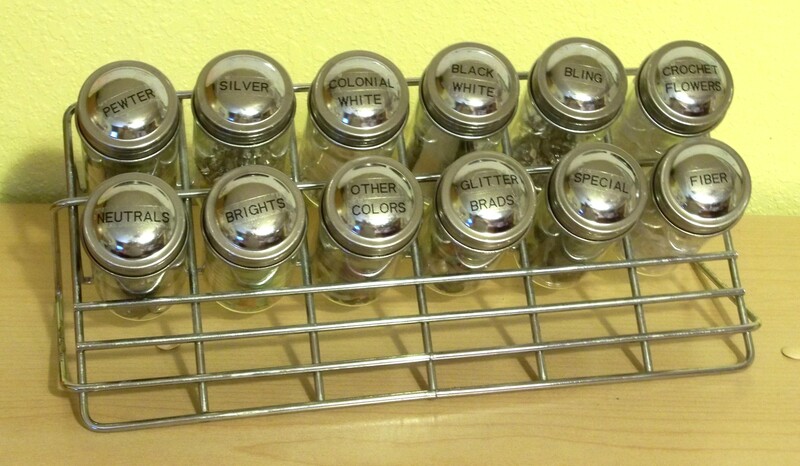 My plan was to decorate the jars so they were pretty in my room but for now the labels are more practical. 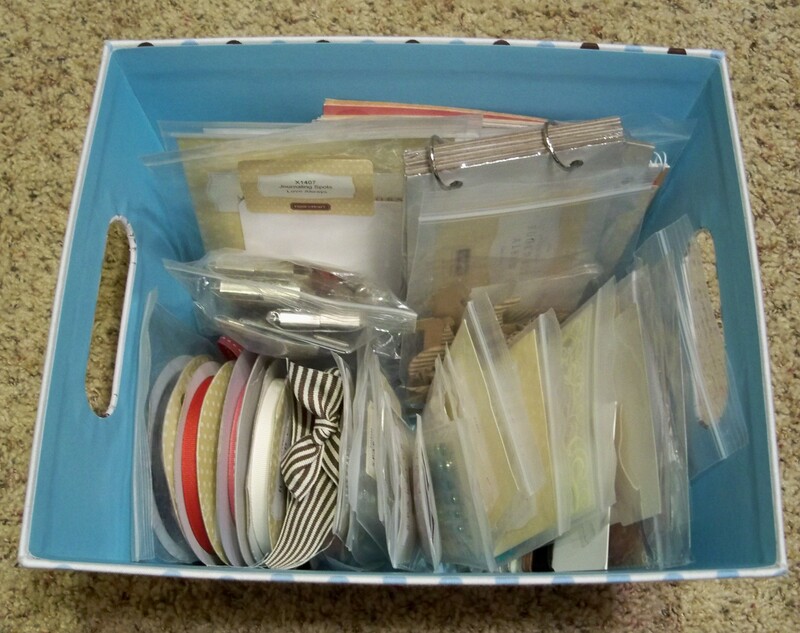 I’m feeling more like organizing than creative today. Maybe I’ll decorate them another day.